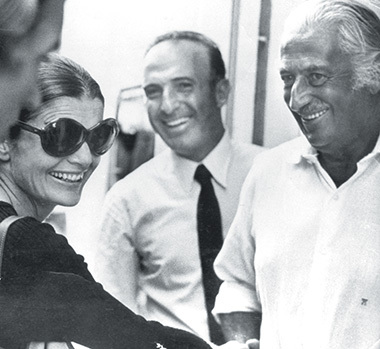 Chantecler is a charming jewellery brand, originating in 1944, in Capri, Italy. Inspired by the legend, Pietro Capuano and Salvatore Aprea forged a bronze bell and gave it as a symbol of peace to Franklin Delano Roosevelt, President of the United States. Design, methods of construction and cost play along with someone’s expectations and feelings, together with a realm of dreams and wishes, for a unique result. The Italian family-driven business bridges the elements between beauty, history and nature. When composing a piece of jewellery, a seemingly endless array of factors and possibilities will arise. An adherence to the specific properties of the various materials, that must be translate into all the visual components, becomes essential. Today, Chantecler preserves the adaptability and the meticulous attention to details that is typical of the Italian family business tradition. Chantecler’s headquarters are now in Milan, in one of the most fashionable area, with a productive hub in Valenza.